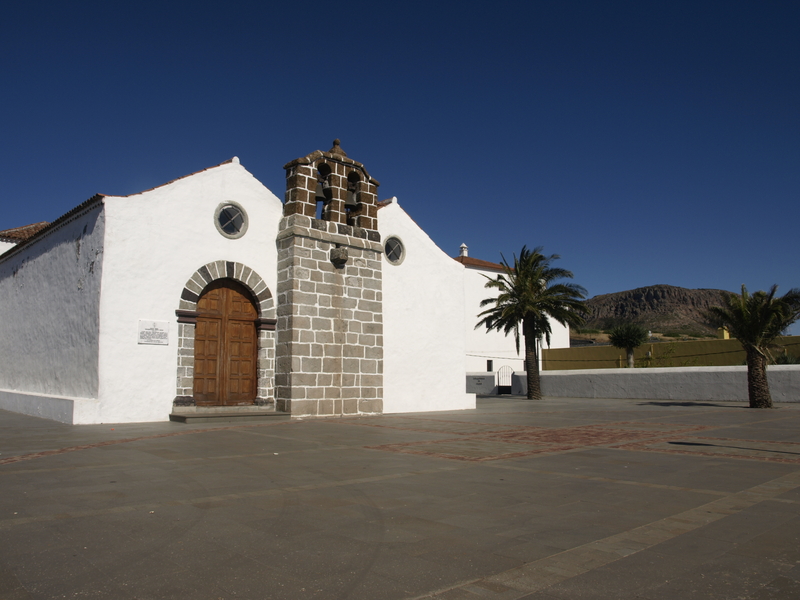 Vallehermoso is the largest municipality in the island of La Gomera, it is 109, 32 km2, so it is the third in population with 2945 inhabitants in 2013. In previous times it was the most populated area in the island with at least 8.500 inhabitants in the sixties. It has 26.75 kilometers of coast along the northeast and southeast. Its municipality is made up of a great amount of neighborhoods and villages spread from the coasts of “barlovento” (downward) to those from “sotavento” (leeward). 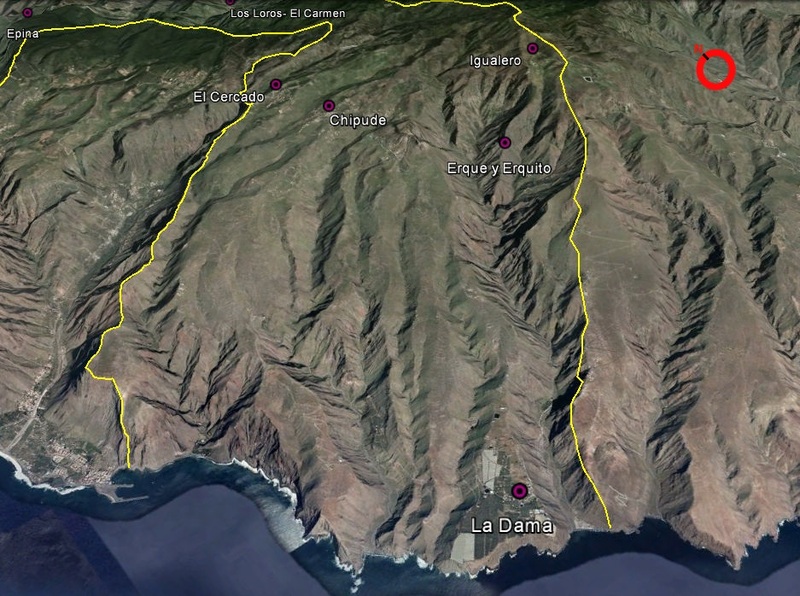 This way, in the northern area shares border with Agulo, starting in the “Punta de Sardina” to “Pajarito” which is in the centre of the island. In the same place it meets with a part of Hermigua. It goes straight on to the south, to the boundary with Alajeró, coming from Garajonay (1487m.) to the beach of “La Rajita” in La Dama. On the west side, we find Valle Gran Rey, between the” Playa de Vueltas” and the “Punta de la Cueva” and leaving a narrow path towards the inside. The geographical coordinates of the centre of the municipality are 28⁰10’48’’N and 17⁰15’53’’O. The centre of the village of Vallehermoso is located northeast of the island at about 40km by car from the capital city, San Sebastián. We refer to a mountainous valley oriented to the north and so to the Atlantic Ocean and its trade winds. Its landscape is full of a great amount of vegetation characterized by its botanic value. This vegetation is the consequence of warm and wet weather conditions, nice and steady along the year, with an average annual temperature of about 22ºC in the centre of the village. That temperature changes depending on the part of the municipality we may visit. It means that there are hotter and sunny areas in the south and west basin but fresh and wet ones in the mountains as well as gloomy and extreme weather conditions in some areas in the inside of the mountains. Its geological nature and the processes of erosion that have drawn this basin are of a great peculiarity and interest as we refer to a basal complex, that is , a geological area that was born under the sea and later raised all together. 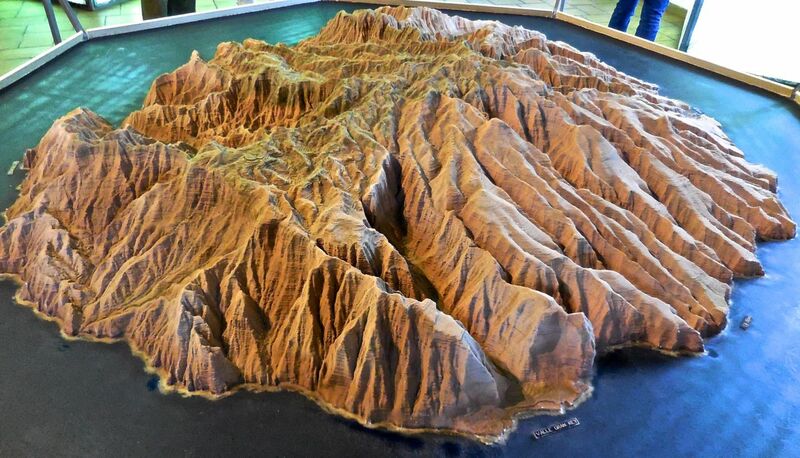 Subsequently, it was covered by a very ancient volcanic eruption in the Canary Islands. This has disappeared little by little and left exposed several examples of hard magmatic materials. We refer to Roques (which are the rest of the eruptive materials that remained in the volcanic chimneys and didn’t erupt, these ones became solid and due to the erosion they were left exposed) and “taparuchas” or basalt cracks. But at the same time, the eruptional processes have generated a chemical change in the materials that are part of this valley, they made possible soils rich and abundant in nutrients that have made possible the existence of a vegetation that loves the soft climate and, of course, has been the cause for the historical development of warm and tropical crops that set this area at the top of the insular economy at that time. On the northeast leeward side we meet the villages of Epina, Alojera, Tazo y Arguamul, groups of population which have had a great importance in history as they were the first places the European colonizers met. These are very windy areas of a great geological and botanical wealth. There are many sunny days along the year and many ground waters that allowed the development of export crops, for family subsistence and wide and rich cattle. Nowadays, they are settlements of a great landscaping and ethnographic value with some little known beaches of an incredible nature. 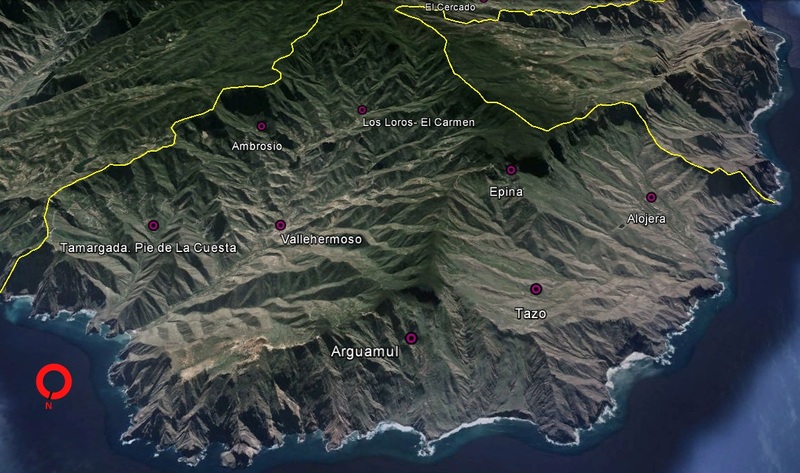 In the highest areas of the centre of the island we find “El Cercado” and “Chipude”, two villages of an odd history. 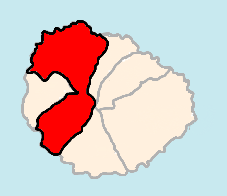 They used to be part of a parish and with an own municipality, Chipude. These are villages linked to the mountain, to the rich nature that the “Monteverde” and “Laurisilva” provide and at the same time they represent the livestock areas par excellence. As they were very rich in crop lands, these villages were very prosperous and nowadays they are living museums for the ethnography and culture of the most authentic Gomera. Towards the South, we meet Igualero, Erque, Erquito and La Dama. These are very spread villages that are a peaceful corner and completely different to the north side of the island. These are very arid areas, with a hot weather and abundant thanks to the irrigation provided by the waters absorbed by the National Park. In La Dama, the village of fruit and vegetable production par excellence, we find a natural balcony towards the sunny and steeped southern coasts which shelter amazing beaches and volcanic black sand coves.